Do you have a healthy habit you need to start like yesterday? I know we could all drink more water or exercise daily but what are you going to do about it? How much do you really want to do this? Everyone says they want to lose weight or start eating more veggies but it’s not going to happen unless you commit to making a conscious effort. For me, I need to drink more water and add exercise to my day. I don’t always get exercise in on a daily basis but when I see that I’ve missed a few days then I know I need to pick up the slack. I need more water, not tea, coffee or juice but more water. I was able to go a week drinking only water and it felt great. But since then my cravings for tea and coffee have been winning so it’s time to get out this healthy habit printable. I read that it takes 6 weeks to form a new habit so if you’re making lifestyle changes, it’s not going to happen overnight. Old habits are hard to kick and making changes means you need to put in a great amount of effort to achieve it. 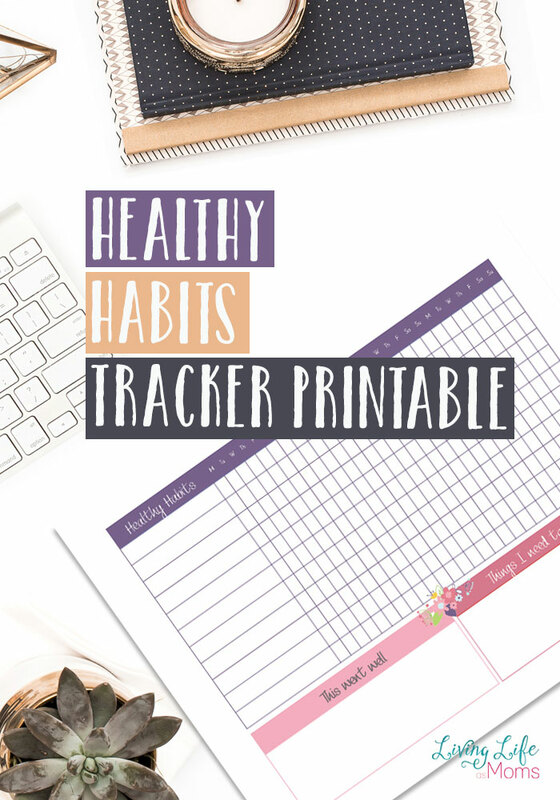 Use this healthy habit tracker printable to keep track of your progress. Write down your goals and get moving. Not tomorrow or the next week or the next month, start today. No more excuses. No one’s going to take care of you, you don’t have parents telling you what to do. This needs to be all about you and what you’d like to do for yourself. 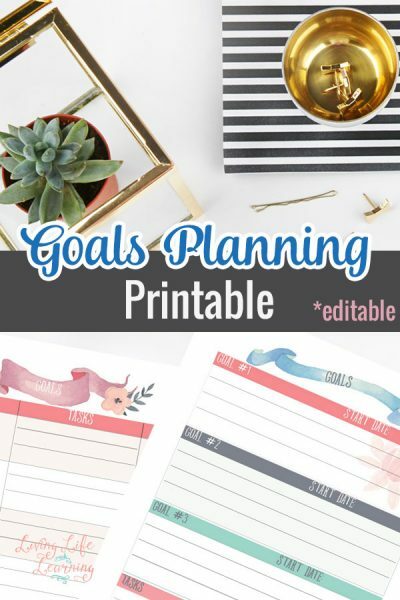 And don’t just print this out and use it for 4 days and then hide it away and forget about your goals. If you really want to do this, you will get it done. You will find the time and you’ll see wonderful results from it. If you’d like to keep track of your healthy habit, then print out these printables to keep track of your progress. 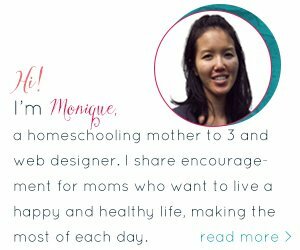 The Free Organization Printables for Busy Moms series is packed with free printables to get your home organized, take a look at the rest. Thanks for sharing this! I really do need to get more water in. Honestly, it’s not even that I’m always drinking something else – I’ve never been a big drinker, so it just feels like such a chore sometimes! Exactly, I need more water too, but would rather drink coffee or tea.